Scamp got a gift from Lucky Dog / Gee Whiskers! 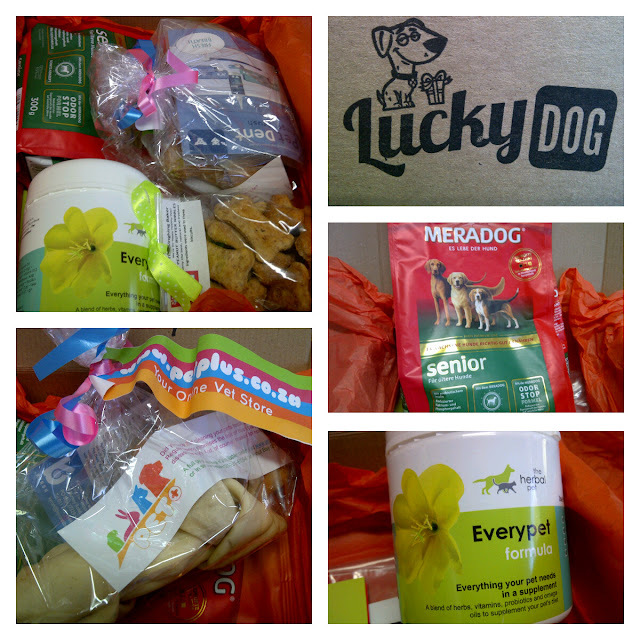 I was recently contacted by Lucky Dog to send Scamp a Lucky Dog box of treats to review. I was very happy to oblige and I know Scamp was VERY happy with his box filled with lots of yummy treats and goodies to play with. Lucky Dog is a subscription box that crams each monthly box full of dog related products to keep your little pooch's tail wagging with delight. Scamp seriously enjoyed all goodies in the box and when I put everything in front of him he couldn't choose what to pick up and enjoy. It was such a wonderful treat for me too because noting makes me happier than seeing Scamp so happy. If you find a product that your dog particularly likes you can buy it from the online store. 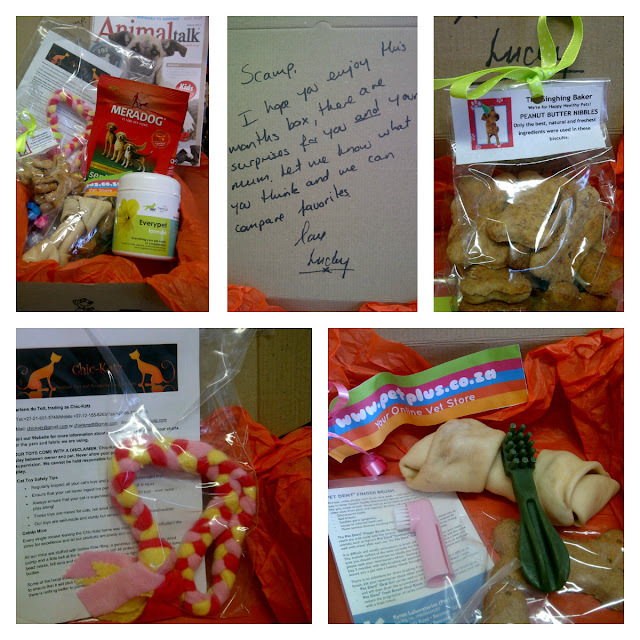 Thank you so much to Lucky Dog for sending Scamp this box of goodies and thank you so very much for including the little message to Scamp. I was tickled pink when I saw it and I wished Scamp was able to read it. I didn't even know about this box company. Thanks for the post.